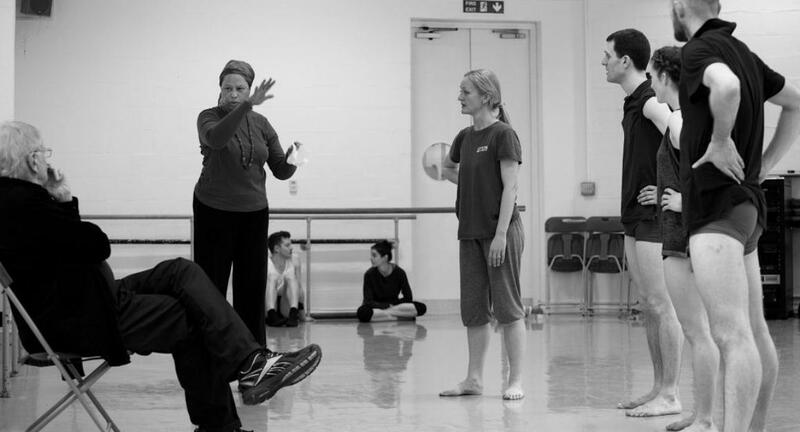 An intensive choreographic residency programme created by world-renowned choreographer Professor Robert Cohan CBE and Yorke Dance Project is to be hosted at Middlesex University, running for two weeks from 24 August 2015. Partially funded by the Arts Council of England, the Cohan Collective aims to further develop the depth and quality of choreographers' and composers' work and working methods. It will run in collaboration with Yorke Dance Project and is supported by Dance and Music at Middlesex University. This year's pilot programme brings choreographers and composers together to work under the mentorship of Professor Robert Cohan CBE and his long-time collaborator, composer and Middlesex Artist in Residence, Eleanor Alberga. "Many of today's choreographers emerge from established dance companies and one can discover much about choreographing, learning on one's feet, as a dancer," explains Yolande Yorke- Edgell, Director of Yorke Dance Project and Cohan Collective. "The Cohan Collective will offer artists the opportunity to immerse themselves in the process of making dances without having to worry about the viability of the product they are working on. Getting as deeply as possible into the process itself will be the only goal." Three choreographers at varying stages of their development – Jonathan Goddard, Phil Sanger and YDP's recent Causeway Young Artist in Residence, Charlotte Edmonds – will join the Cohan Collective, working with composers Rolf Hind, Donna McKevitt and Middlesex University graduate Andy Kyte. Recent graduates from London Contemporary Dance School, London Studio Centre and Middlesex University will also gain valuable work experience alongside professional dancers from companies including Richard Alston Dance Company, Michael Clark Dance Company and Yorke Dance Project. The residency will also offer dancers from the Royal Ballet School the opportunity to develop their choreographic skills by immersing themselves in the residency alongside the participating artists.